Candidates are Customers too. Shouldn't that be a No Brainer... ? Larkspur, CA – September 8, 2011 – For the fourth consecutive year, Accolo Inc. (the leader in Elevated RPO®) has been voted as a market leader in HRO Today’s Baker’s Dozen customer satisfaction ratings for On-Demand Recruitment Process Outsourcing providers (RPO). In another illustration of Accolo’s continued role as a recruiting industry expert, Accolo was featured in the ERE.net article The Complete List of Employee Referral Program Best Practices by Dr. John Sullivan, a thought leader in this field for more than 20 years. After assessing and researching hundreds of corporate employee referral programs, Dr. Sullivan developed a list of 70 Advanced Employee Referral Program Features. “Accolo is noted with Fortune companies as providing leadership in Employee Referral Programs which makes us all very proud,” expressed Ray Rike, COO of Accolo. 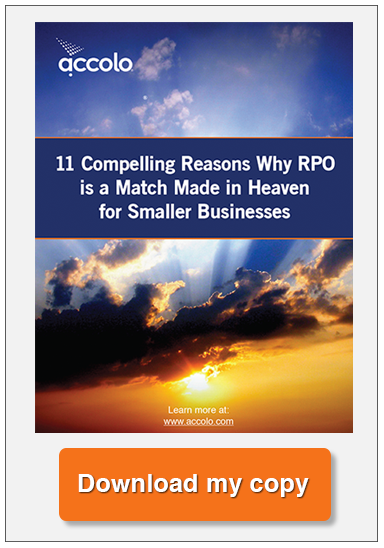 To learn more about RPO, visit What is RPO. and watch Social Network Recruiting… The Next Generation of Employee Referrals. Accolo is the leading Elevated RPO® solution, driven by our patented Elevated RPO® Platform with embedded social network recruiting and job marketing campaign functionality. Our customers benefit from the industry’s first and only ‘Hiring Intelligence’ Knowledgebase enabling a proven, data-driven approach to hire performance. 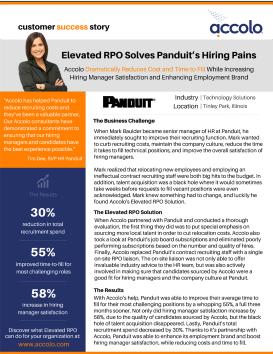 Accolo’s innovative Elevated RPO also provides recruiting capacity on demand via the Accolo Hiring Consultant network comprised of certified recruiters with the most relevant industry, functional and geographic experience as measured by hiring manager satisfaction. Accolo is a founding member of the Recruitment Process Outsourcing Association.